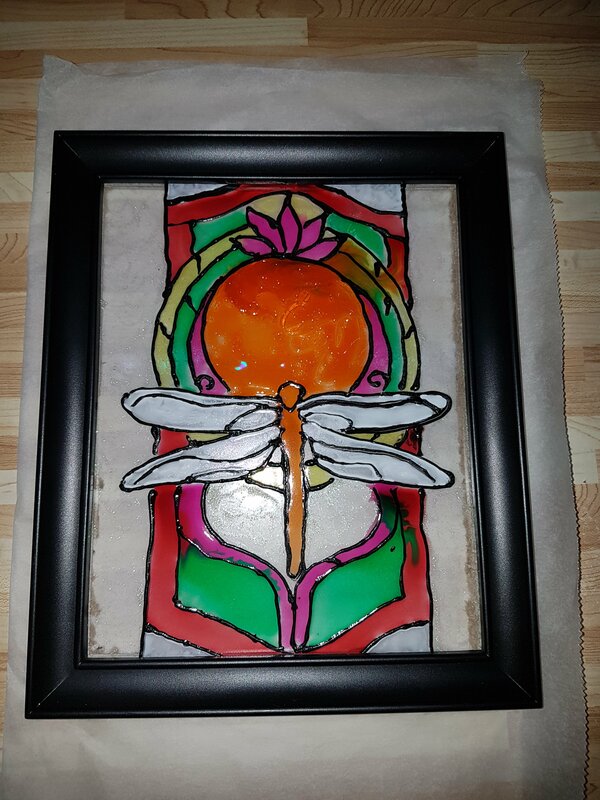 Today I began working on the dragonfly faux stained glass I wanted to make for myself. I am really enjoying making these stained glass pictures as I first showed you in my Faux Stained Glass Lotus Flower post a few weeks back. I am enjoying it so much that I started a second one today as well for a gift that I will try to post tomorrow. I have a few others in mind as well, so stay tuned. I started out again by making sure the glass was clean. I gave it a good cleaning with Windex and paper towel. I taped the design I wanted, my dragonfly this time, to the back of the glass so I could use it as a guide when applying the liquid leading. This time I went with the black leading. Once the liquid leading was completely dry, I began to add my coloured glass paint. 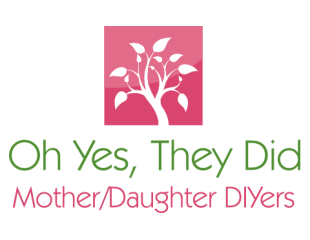 I just sort of winged it with the colour choices. I just have it laying over the frame to dry for now. Once it dried, I glued it back into the frame, cut the backing from the frame so that only the glass was showing through and glued that as well as sliding the backing holders into place. I think I filled in the spaces a bit too much on this one. At the bottom you can see where a few colours bled into each other 😕. Lesson learned. I hope lol! I added a nice ribbon to hang it by and I am going to hang it in my front window! 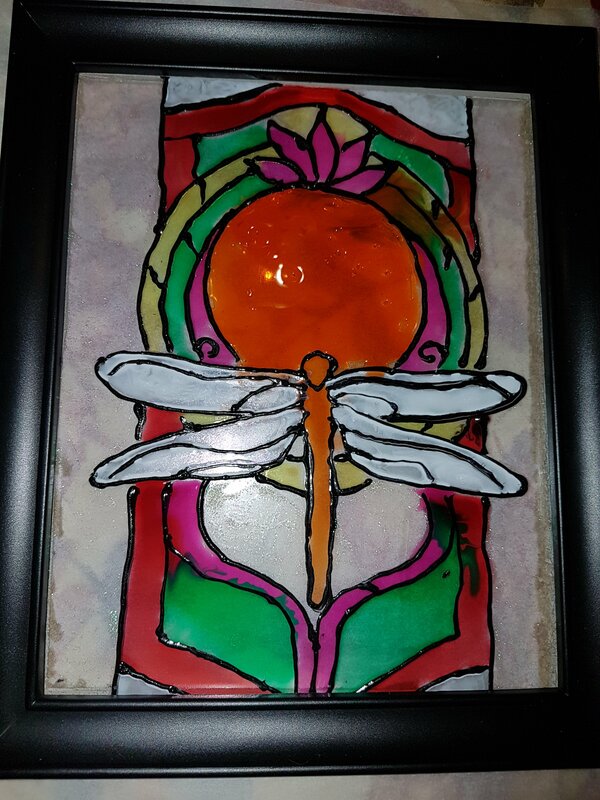 This entry was posted in Christmas, Crafts, Decor, gifts, Our Posts, painting and tagged dragonfly stained glass, faux stained glass, postaday, stained glass paint. Bookmark the permalink.